There are, of course, many advantages to using a laptop/tablet for your note-taking in class and for revision purposes. We are able to type significantly faster than we can write, allowing us to make more detailed, legible notes. Equally, access to the internet, and the ease of collaboration with peers that this technology brings make one of these devices an essential study companion. So, when it comes to revision, and reviewing notes, where does writing by hand come into it? Well, we’ve written this to explain the benefits of making writing by hand part of your revision routine. When taking notes by hand you are forced to give greater consideration to the information you are processing than you would if you were blitzing through it on a keyboard. When it comes to recalling this information, the extra focus will pay dividends. This is also helped by the fact that the memory of your notes will be reinforced by the much more deliberate physical action that is writing by hand. For kinaesthetic learners – who learn better by physically interacting with subjects – this physically-imbued system of taking notes is helpful. Colour coding, circling, underlining, CAPS and even doodles can all help to make your revision sessions more efficient. These are all achievable on a computer, but much more restrictive, time consuming and tedious. On paper, however, you can highlight, strike through and emphasize to your heart’s content. By building visual bridges between the pieces of information you’re revising you’ll improve your ability to understand and recall them. Making revision fun is also the key to maintaining your commitment to it, and these useful flourishes can only help. 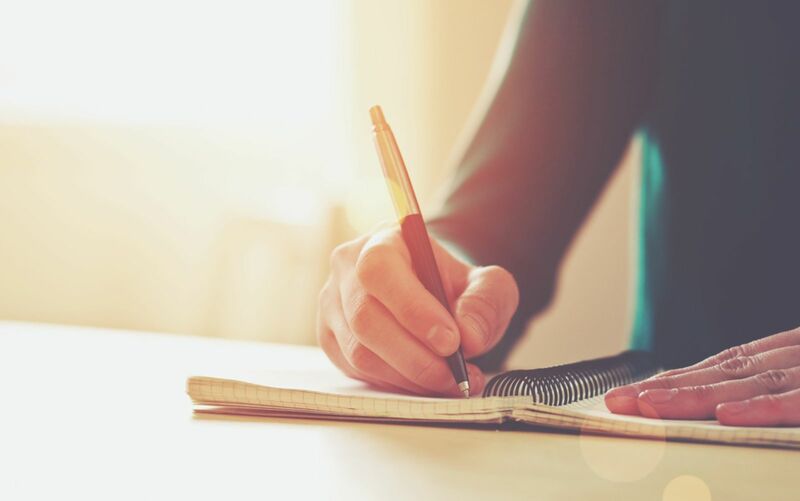 By re-writing your notes in longhand during the revision process you’ll find new ways of conveying and expressing the points you wish to make. When it comes to essays and exams, already knowing how to formulate and phrase your answers can be invaluable. Also, you’re likely to have to write by hand in your exams themselves, therefore the practice can be helpful. Think back to summer holidays gone by and how awful your handwriting was on your first day back at school. You don’t want to hand the examiner a scrawl. We’ve already agreed, laptops and tablets are great. One of the reasons they’re so awesome though is that they make procrastinating and ignoring work incredibly easy. In the moment, watching funny videos or scrolling through social media whilst you’re meant to be revising can seem fine. However, come the crunch time, you’ll be bound to regret those wasted hours. Pen and paper on the other hand offers infinitely fewer distractions than the aforementioned devices. That is assuming you aren’t worryingly entertained by producing little flick books in the corners of your pages. We hope that these handwriting-based tips help you to make the most of your revision sessions and pay dividends when it comes to test time. What matters is that you find the method of revising that brings the best results for you. With TopperQ, you can tailor your revision to suit you and make your exams as smooth as possible.